Canada-based ONE OCEAN EXPEDITIONS, represented by ACTIVE TRAVEL, has announced a significant coup for the forthcoming 2010 Antarctic season. For brochures and further information contact ACTIVE TRAVEL on 02-9264 1231 or visit www.activetravel.com.au. 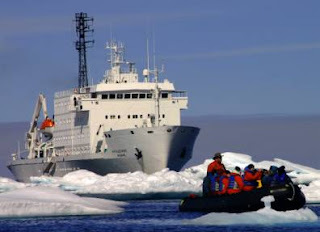 In North America and the United States book the Akademik Ioffe with Antarctica Cruise Experts.